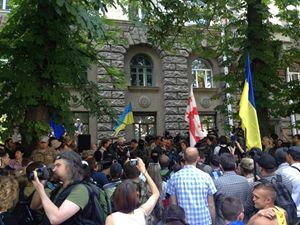 Participants of the volunteer battalions Donbas, Dnipro, and Aidar, the Council of Maidan’s sotnias, and civic organizations of Maidan held a rally on Sunday June 29, demanding Poroshenko end the ceasefire on the East and declare martial law. 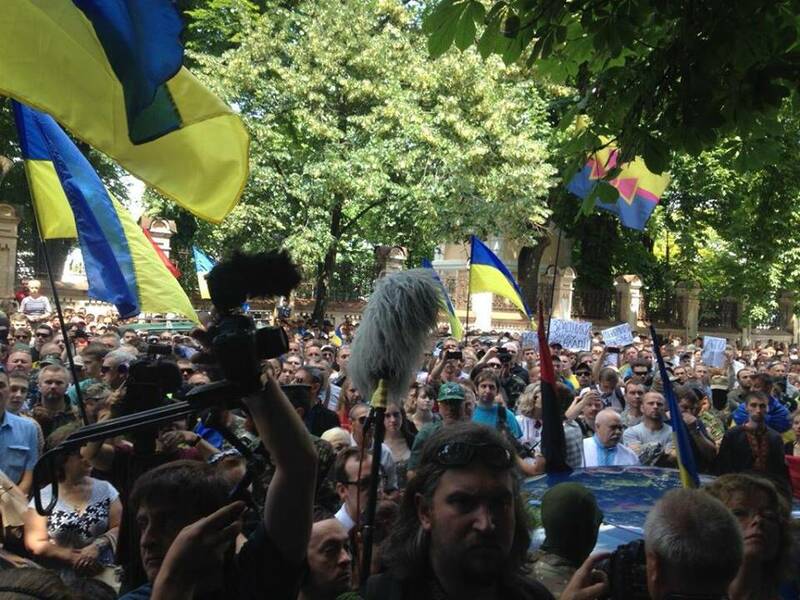 The rally was held not far from the President’s administration. 2. Declare martial law in the East. 3. Provide the volunteer battalions with weapons and allow them to eliminate the terrorists. 4. Keep his electoral promises regarding social provision for the soldiers. 5. Demand the West to impose third-level sanctions against Russia. Later, the leader of the Donbas battalion made an additional demand – to remove Medvedchuk, Shufrych, and “other traitors” from negotiations with the terrorists of the East.